Bedford County PA is classic small-town America. The Visitors Bureau offers guided tours of Downtown Bedford Friday afternoons from 3:30 to 5PM. Tours operate from June through October. The Bedford County Visitors Bureau can send you maps, driving tours, self guided walking tours and more. We also offer downloadable video tours of the area (excellent!). Call (800)765-3331 for more info. 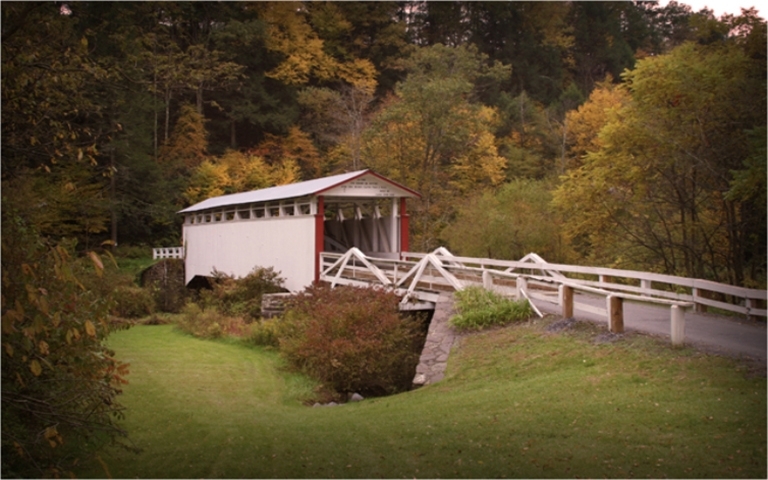 Popular brochures include the Covered Bridge brochure and Gravity Hill brochure. Both are part of a wonderful 90 minute driving tour too. Other popular brochures include our "Learning Architecture" self guided walking tour, the Orchards/Wineries of Bedford County, and our Hiking Brochure. Planning a trip to see the Flight 93 Memorial? Call (800)765-3331l for the Flight 93 Memorial driections brochure.